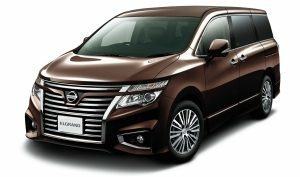 What drives Carlos Ghosn, Chapter 4: "Nissan Turnaround"
Before the alliance between Renault and Nissan Motor, I had been to Japan only once in my life. It was in 1984, and I was still with Michelin. I had gone on a business trip to visit Komatsu, but my stay lasted for only two days – too short to get a real impression. I visited Japan a few other times during the partnership negotiations with Nissan, but my true relationship with the country began when my family moved there in May 1999. I arrived in Japan a month before the rest of my family, and initially lived in a hotel. The Nissan headquarters was then in a prime location in Ginza, near the center of Tokyo. My first office as chief operating officer was a renovated conference room a few doors down from the then-CEO Hanawa-san. My executive assistant, Takahashi-san, was extremely efficient, expertly managing my appointments so that I could work at a brisk pace. Upon my arrival, I could tell people were curious about my intentions. My reputation as a "cost cutter" had preceded me. Nevertheless, I jumped headfirst into the task at hand. 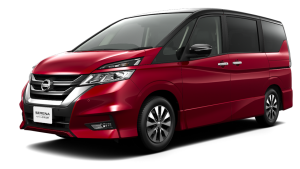 I was careful to respect the traditions of the Japanese culture at Nissan. For the general shareholders meeting, I had practiced bowing at 30 and 60 degrees. But I was there for one reason: to fix the company. 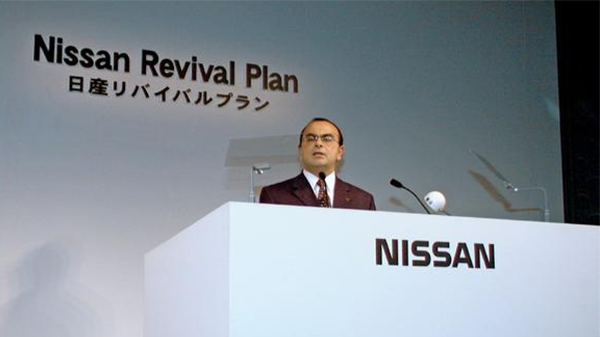 I told those shareholders: "I came to Japan not for the sake of Renault, but for Nissan." I still remember the warm applause. I met with many stakeholders, including the unions and suppliers. They were unanimous in saying that while the changes would require sacrifice, as long as I fixed the problems, they supported me. That was all the approval I needed. Around this same time, other executive- and manager-class personnel from Renault were beginning to arrive in Japan – 30 in all. Many were hand-picked by me, and others came recommended. For each position I filled, I focused on whether that person possessed enthusiasm and an open mind. As a leader who had run many companies in several countries, I knew that the only ones who could truly change the company were people inside it; the chances of a French outsider trying to "reform" it from the outside were zero. What I needed were managers who could solve problems in close cooperation with the Japanese. And I did not want there to be any division within the ranks, so I discouraged exclusive gatherings or private clubs for the people who came from Renault. Because I had chosen people with open minds, the French newcomers adjusted well and were welcomed by their colleagues. 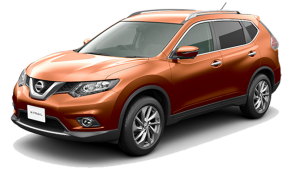 Certainly there were some inside Nissan who were skeptical. I remember a popular TV commercial jingle: "The new boss is French. Not even the body language gets through." This ad referred to the significant cultural differences between the French, who shake hands, and the Japanese, who bow. And that was only the beginning of the differences I would encounter. Still, our alliance was successful because we were able to come together around shared goals. And it wasn't just Renault people coming to Nissan – Nissan employees also went to Renault. In the end, everything we have done as an alliance has benefited both companies – otherwise we wouldn't do it. And it's a critical reason why the alliance continues to succeed today, while others who have tried this model have failed. The Nissan Revival Plan produced a range of reactions worldwide. Some worried that the plan, introduced in late 1999, would lead to the destruction of traditional Japanese business relationships. Others worried about their jobs. But I wasn't putting out a plan I didn't believe in fully. I asked for trust and backed it up by saying that if we did not return to profit after a year, I would resign, as would my executive committee. One of the biggest changes we made was in purchasing, which caused some tense moments. Traditionally, Japanese companies form close ties with their suppliers. However, as with the Renault restructuring, we focused on reducing procurement costs by doing more business with whichever companies could best meet our requests for lower prices. It was based purely on merit. That was the only way. 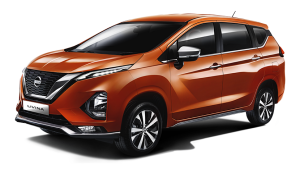 For example, Nissan Motor was purchasing almost all of its sheet steel from four of the five major Japanese iron and steel companies, which was one of the main reasons our purchasing costs were so high. To remedy this, we maintained relationships with all four steelmakers but began focusing on Nippon Steel (now Nippon Steel & Sumitomo Metal) and Kawasaki Steel as our primary suppliers. Our transactions with another steelmaker, NKK, decreased significantly, and the company announced in 2001 that it would merge with Kawasaki Steel. The media dubbed this the "Ghosn Shock." But I knew better – long before the announcement, I had met with the top executives of NKK and personally outlined our new strategy and policies, so no one was caught off guard, let alone "shocked." These cost-saving measures were carried out in other segments as well. The revival plan included a target of reducing the total number of trading partners by half. At first, the number of suppliers decreased. But when Nissan's fortunes turned the corner after 2000, the number of our business partners actually rose. And as we focus on new technology, such as electric vehicles, our list of suppliers continues to grow. We have seen this trend across the board. We had to close five plants but have since opened 15. We also had to cut 20,000 people from a workforce of around 150,000, but today we have a headcount two times the size after the initial reduction. Nissan had 2 trillion yen ($17 billion at current rates) in debt, but now has 1.5 trillion yen in cash. I do not want to discount the sacrifice so many people made during this process. I remember seeing a story in an American newspaper at that time that featured managers of some of the small and midsize companies near Tokyo's Murayama factory, which we shut down. They told the paper that their companies would not be able to survive unless Nissan returned. But they acknowledged there wasn't a better plan -– and they wanted to cooperate, no matter what it took. I will never forget these words. They strengthened my resolve to deliver a better future for our entire ecosystem of suppliers, partners, employees and communities. And we did deliver it – faster than expected. 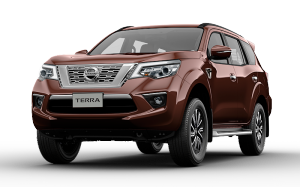 By the year through March 2002, Nissan had achieved a 4.5 percent margin on operations and reduced interest-bearing debt to less than 700 billion yen. We were one year ahead of schedule. As it turns out, I didn't have to quit my job. In fact, I was named chief executive officer in 2001. 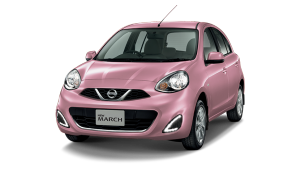 When the financial results of our recovery were released, Japanese society began seeing Nissan Motor in a new light. As the now CEO and president of this success story, I was graciously welcomed everywhere I went. I received requests for interviews and speeches, and I even appeared on a couple of talk shows. Suddenly even our local yakitori restaurant, one of my family's favorite hangouts, was swarmed with cameras. The attention was new to me, but I didn't let it distract me from the ongoing work. Recovery is a continuous process. Nissan's financial performance was on the upswing. 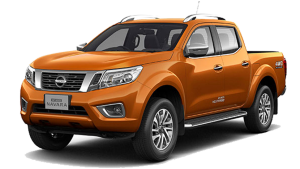 At the same time, we were restructuring and adopting a fresh growth strategy, which included construction of our Mississippi plant in the U.S., which now produces large pickup trucks and is a backbone of Nissan's growth. It was time to move to the next phase. The next medium-term management plan was called Nissan 180. Each number had a meaning. The "1" signified our target of increasing sales by 1 million units worldwide by 2005. The "8" stood for the 8 percent or better operating margin – the highest level in the industry – to which we aspired. And the "0" indicated our goal of zero interest-bearing debt. We've kept up the practice of using numbers in the names of our medium-term plans, including the current one, Nissan Power 88, which runs through March 2017. To me, numbers provide a common language that can effectively communicate the management's vision to all employees. There is another reason we focus on numbers. One of the differences between Japanese and French cultures is how decisions are made and executed. In France, we come to decisions quickly, but the execution can take a variety of directions, because the decision is open to interpretation. In Japan, it takes longer to come to a decision, but once it's made, action is uniform and swift. So the best way to achieve a target is to make sure it is specific. Another cultural difference is that in Japan, there is a high level of deference for the rule of seniority. While I think it is important to respect seniority, it should not be in the form of discrimination against young people. A wage and promotion system based solely on seniority produces negative effects. Rather, people should be evaluated on the results of their work and their contribution to the company. To me, it's about performance. 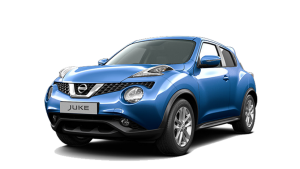 That is why Nissan introduced an incentive system that rewards financial performance at management levels. We are continuing with these changes to ensure that younger employees and women are empowered with opportunities. After all, I was given big responsibility at a young age, and that is the reason I am where I am today. In these ways, Nissan's revival is still ongoing. But by 2003, at least financially, we had fully recovered.